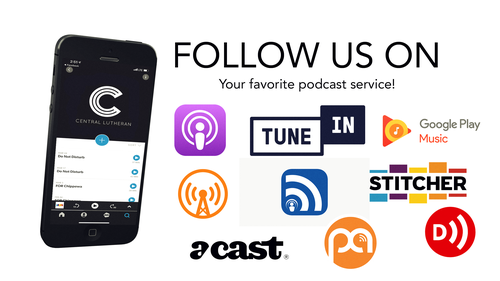 Do you enjoy listening to your favorite pastors and sermons via podcast form? Well Central Lutheran has a podcast updated each week with Pastor Aarons newest audio sermon. So check it out on your favorite podcast service today! Just search "Central Lutheran".